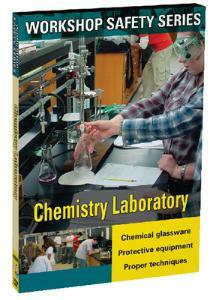 Review Daily Laboratory Routines and Use of Safety Gear. Walk through an examination of fume hoods, personal protective equipment and more as the video chronicles the everyday workings of a lab along with the associated environmental concerns. Prevent student injury by educating them on the proper techniques of lab work, the necessity of safety gear, the diversity and use of glassware, and the importance of organization in the lab.